When modelling piping networks, especially in the presence of loops and parallel piping, HYSYS Dynamics can be easily used as a pressure-flow solver simulator (this was discussed in our article “Modelling Piping Networks – HYSYS Steady State, HYSYS Hydraulics or HYSYS Dynamics?”). 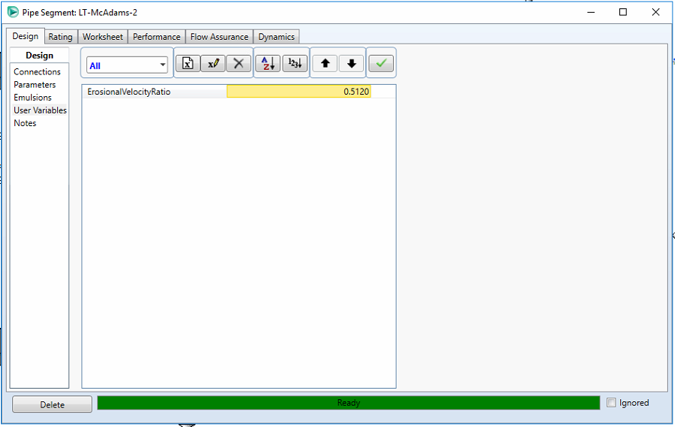 However, one major flaw of using this methodology is that flow assurance calculations are not available in Dynamics. An erosion calculation is quite useful when modelling piping networks. This article suggests a methodology to correct this issue by setting up user variables in HYSYS and provides a step-by-step example including a sample of the required code. 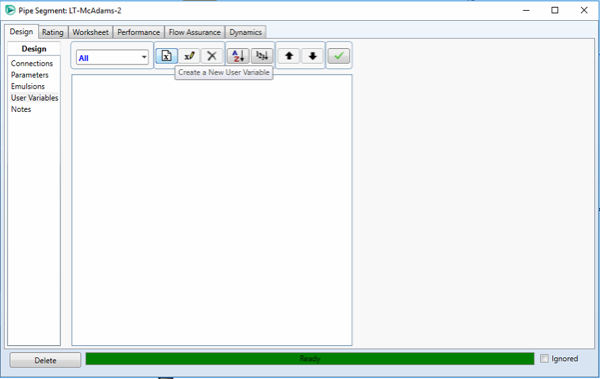 A user variable is a feature available in HYSYS that is very useful and will definitely help users take their simulations to the next level. The creative application of user variables in the calculation of various process parameters in a HYSYS case eliminates the need of downloading information from HYSYS to perform those calculations using spreadsheets. In this example we will employ the user variable capability to calculate the erosional velocity ratio dynamically. We will assume that the user has a perfectly running piping simulation case, this means it is converged and you can start or stop the integrator (solver). One thing to keep in mind is that a user variable needs to be linked to a specific simulation object (i.e. Flowsheet, Stream or Unit Operation). In this case because the Pipe Segment unit operation contains the relevant information to perform this calculation, we will use it to link the erosional velocity calculation. In the design TAB, go to User Variables and click the “Create New User Variable” button. 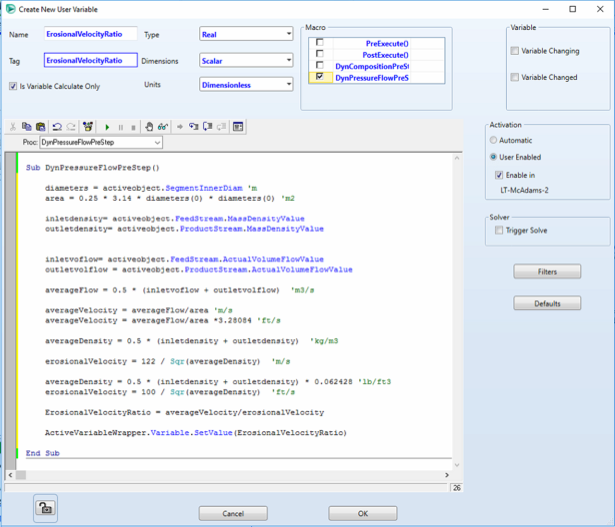 &apos;This code calculates the erosional velocity using average density and velocity. American Petroleum Institute, API Recommended Practice 14E, Fifth Edition: Design and Installation of Offshore Production Platform Piping System, Dallas: American Petroleum Institute, 2007.